Halong Bay is UNESCO World Heritage Site. The Bay has some 1,600 islets with limestone karsts, some huge and many small ones rising above green and calm waters. 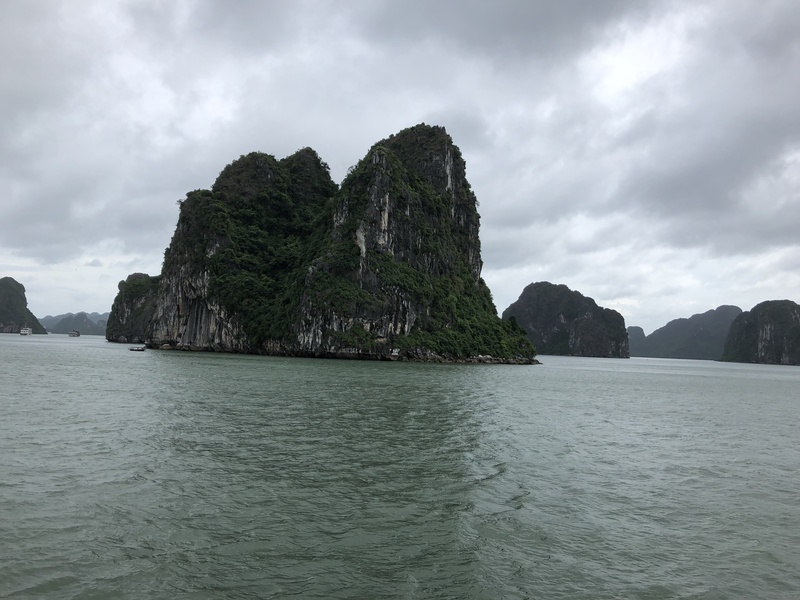 Legend has it that a descending dragon (Ha Long) created these islets with different sizes and shapes to prevent the invaders from attacking the villagers. These isles are not habitable. The attraction is to go on a cruise and sail around these islets and see them up close. We did that by going on a cruise (Golden Cruise) and stayed one night on the cruise. 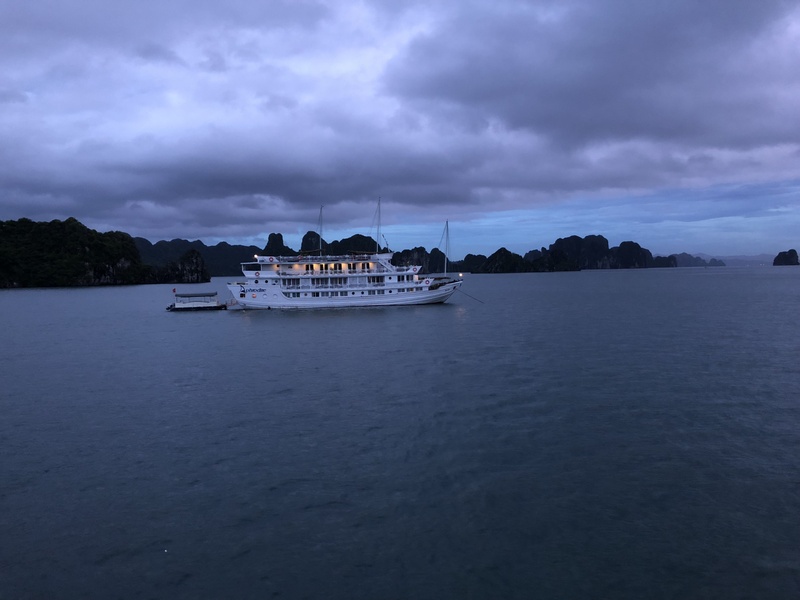 To reach Halong City and catch the cruise, we travelled some 4 hours car journey to the East of Hanoi centre. The water wasn’t choppy and we could get a good night sleep in the cabins. We had a good feast on the Golden Cruise during dinner. They put up Singapore flag at our table. We are the only Singaporeans on board. The rest were Swiss, German, and Canadian. The views are spectacular and there are many photo worthy shots of this Bay. It has lived up to its reputation as a heritage site. 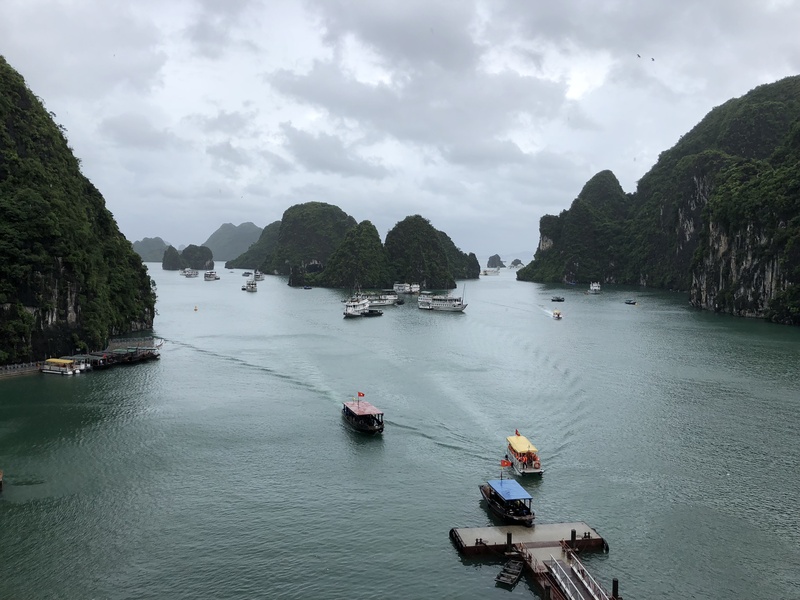 We visited Titop island on Halong Bay. It has a small beach where one can swim in it safely. 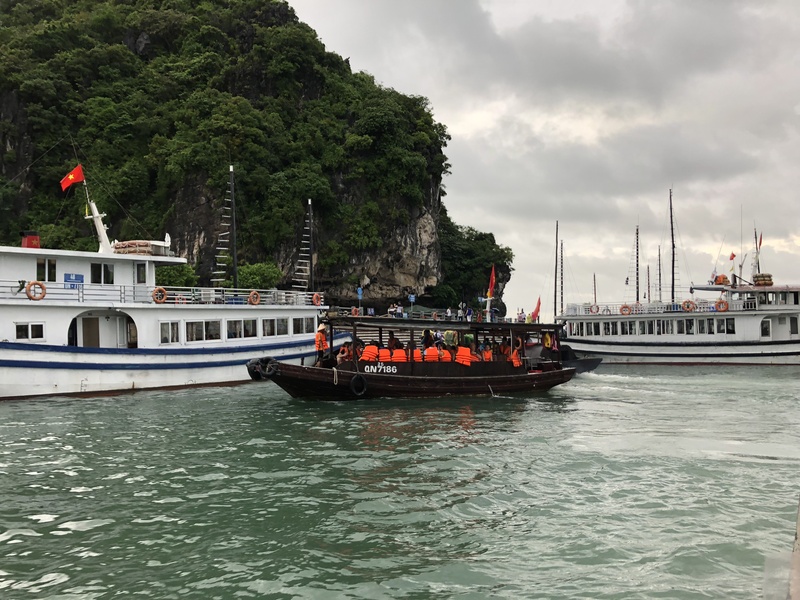 Tourists climbed up 400 steps to reach the top for a spectacular bird’s eye view of many islands in Halong Bay. However, there were too many tourists descending on this small islet in waves. One must be prepared for it. 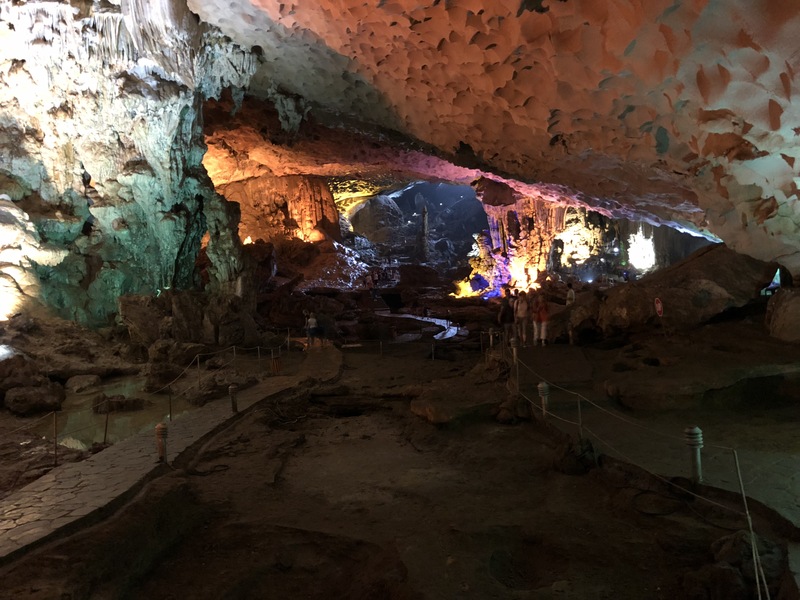 We had also visited Hang Sung Sot, “Cave of Surprises”, in Halong Bay area. This is a limestone cave that is big enough to go around it. 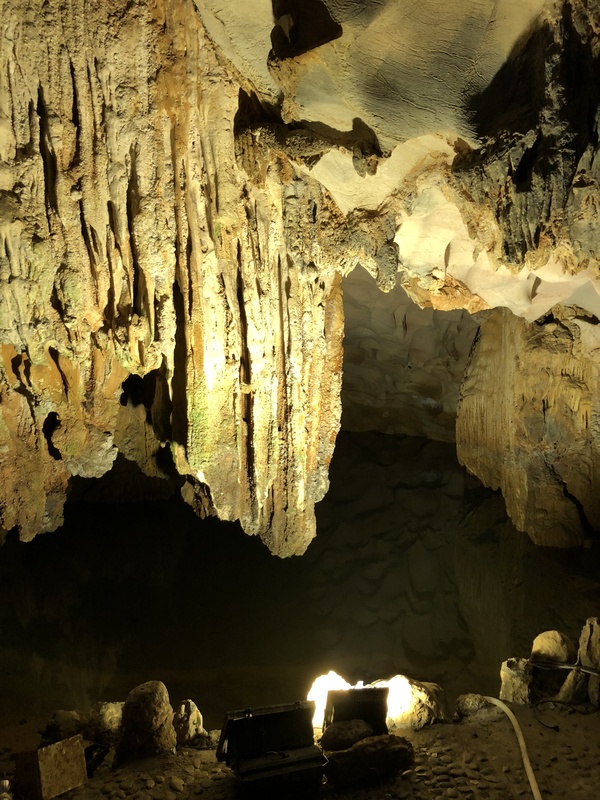 Here you can see stalagmites and stalactites in their glories. It is paved with easy pathways for the visitors to walk on.